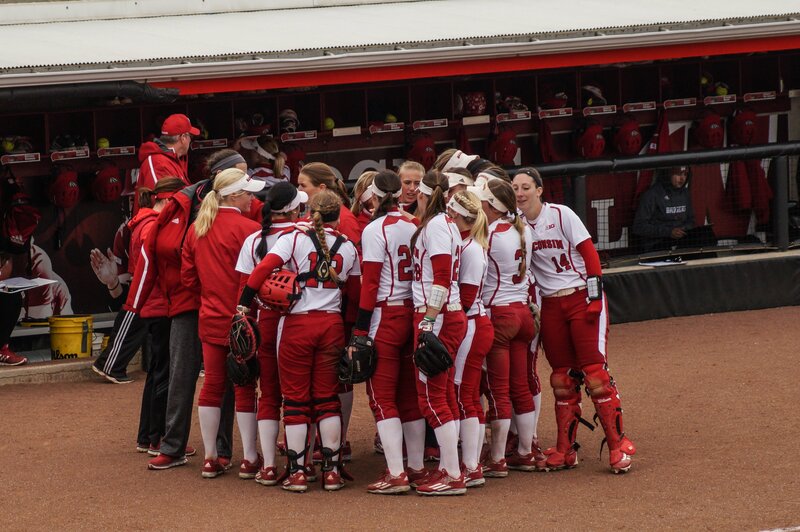 After making the NCAA tournament for the second year in a row in 2018, the University of Wisconsin softball team enters the 2019 season with an identical goal of returning to the big dance. The Badgers managed a 29-23 record last season, earning the seventh seed in a tough Big Ten tournament field. They advanced to the second round of the Big Ten Tournament before being eliminated by powerhouse Minnesota. In the NCAA tournament, Wisconsin played in the Tuscaloosa regional where they faced No. 12 Alabama, Oregon St. and Middle Tennessee. The Badgers went 1-2 in the tournament, including an exciting, eight-inning comeback win against Oregon State, but ultimately failed to advance to the College World Series. This season, Head Coach Yvette Healy and the Badgers are seeking to return to the NCAA tournament three years in a row for the first time in program history. In order to do so, however, they’ll have to make up for some key offseason losses. The Badgers lost five seniors, including starting shortstop and Second-Team All-Big Ten selection Brooke Wyderski, along with infielder Sam Arents. Perhaps the greatest subtraction from the team, however, comes with the graduation of Kelsey Jenkins. Jenkins, an infield utility player, was a run-producing machine throughout her Badger career. Jenkins earned an array of honors for UW, including multiple Big Ten Player of the Week awards and was also unanimously named to the First-Team All-Big Ten team. Jenkins is the all-time runs leader in UW history with 146 and is the only player in school history to be named First Team All-Big Ten three times. The central concern for the Badgers heading into 2019 after such consequential departures is how to replace them, and who will step up to make up for the loss in production. Luckily for Healy, both of her powerhouse pitchers from 2018 will return to the mound this spring. Sophomore Haley Hestekin, who was named to the Big Ten All-Freshman team and Second-Team All-Big Ten after her dominant freshman season on the mound, will look to pick up right where she left off. She held a 2.05 ERA and a 17-7 record in 33 appearances. The second half of the dynamic Badger pitching duo is junior Kaitlyn Menz, who was named All-Big Ten Defensive Team with a 3.30 ERA in 30 appearances and a 12-14 record last season. Older and more experienced than Hestekin, Menz was tasked with carrying the team at times last season — most notably, she pitched in all three NCAA Tournament games for the Badgers last spring. The new-look Badgers were able to play four games this fall to give Healy a look at the team. Wisconsin managed a 3-1 record after defeating the University of Illinois-Chicago and DePaul, and splitting a doubleheader against Iowa State. UW kicks off their season Feb. 8 in Houston where they will compete in the Scrapyard Tournament against Omaha, Lamar and Texas Tech. This is the first of their five warm-weather tournaments until the Badgers return home in March and the Wisconsin cold becomes a factor. Big Ten play will start for the Badgers March 22 with a three-game series at Illinois. While the Big Ten conference is sometimes overshadowed in rankings by conferences such as the SEC or the Pac-12, Big Ten teams are not to be taken lightly in 2019, as Wisconsin will look to compete for the Big Ten title and cement their name into the NCAA tournament mix. Wisconsin’s home opener at the Goodman Complex is scheduled after the Illinois series March 26 against Northern Iowa. With key seniors gone, but experience returning to the diamond, it remains to be seen who will comprise the next generation of great players at Wisconsin. This year’s team has five incoming freshmen from the Class of 2022 — outfielders Tyra Turner and Ally Miklesh, infielders Jolie Fish and Savanna Rainey — who also plays catcher — and pitcher Maddie Schwartz. A wide range of skill and talent from this freshmen class are sure to contribute to a Badger team in pursuit of making school history by becoming the first Wisconsin Softball team to make the NCAA Tournament three years in a row.